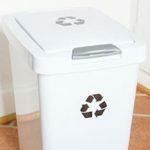 I am constantly trying to think of new ways to decorate for the holidays that don’t break the bank. 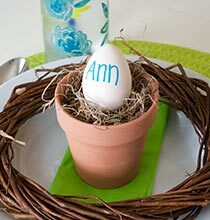 Therefore, I decided to incorporate natural elements of winter by using pinecones! 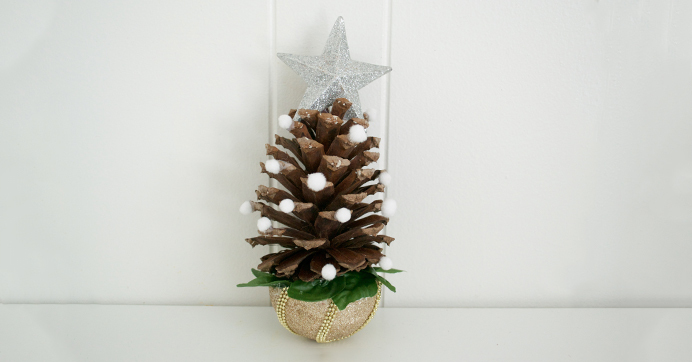 These festive DIY pinecone trees not only give off a festive holiday vibe, but they are super affordable to make. 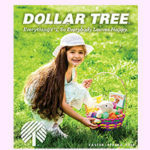 Head to Dollar Tree to pick up a few ornaments, pom-poms, foliage, and bows to create a forest of pinecone trees. Hang these from your tree as ornaments, arrange on your fireplace mantel, or create a mini forest as a centerpiece for your dining table! Use a serrated knife or scissors to carefully cut the ornament in half. 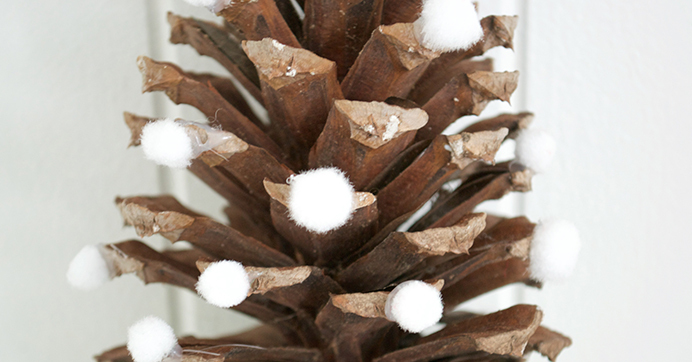 Hot glue the base of your pinecone to the flat part of your ornament and hold in place until set. 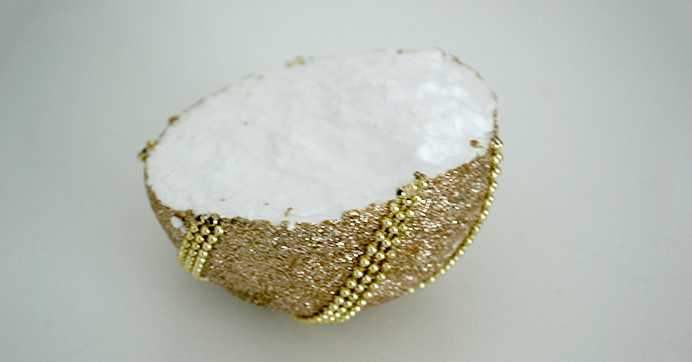 Additionally, cut a small piece off of the bottom of the ornament, so that it can rest on a flat surface. 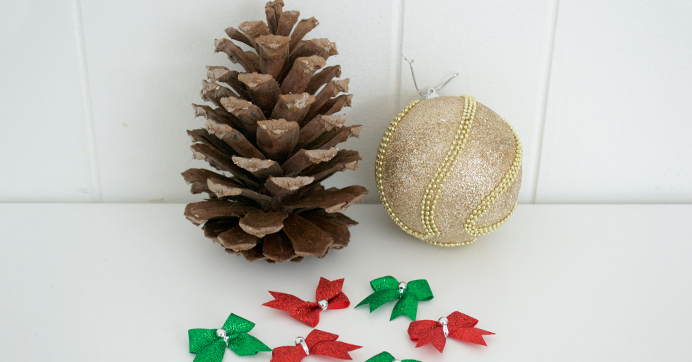 Apply bows, pom-poms, or glitter to your pinecone as ornament decorations. Additionally, use hot glue to apply foliage to the base of your pinecone (you can apply foliage before or after gluing your pinecone to the ornament). 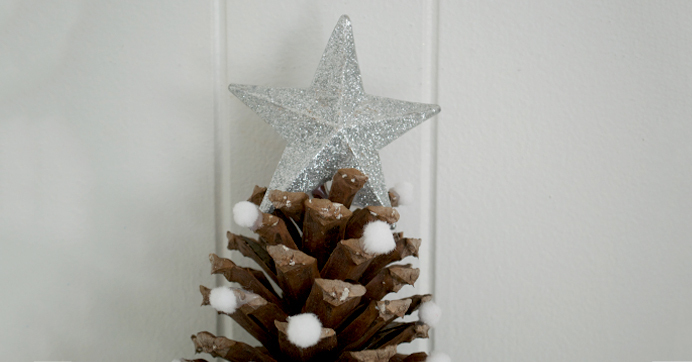 Finish off your pinecone tree with a glittery star as the tree topper! Arrange on tables, fireplace mantel, or attach a ribbon to hang on your tree… the possibilities are endless! 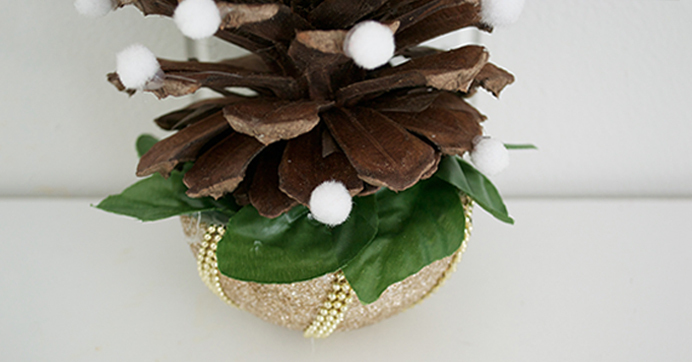 Looking for even more ways to incorporate pinecones in your holiday décor? 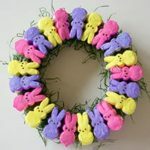 Check out this DIY Pinecone Greenery Wreath!